This book in a new format describes the growth and development of Stroud Green from a wet and marshy wasteland in mediaeval times to the present-day cosmopolitan suburb. The five walks allow exploration of various aspects of the history of the area. The 96-page book includes 36 local views and eight maps. 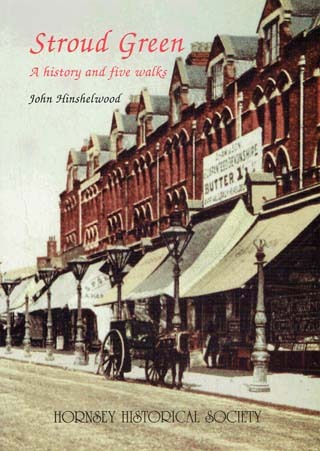 John Hinshelwood lives in Harringay and was HHS Curator & Archivist, 1998-2005. John is a frequent contributor to the HHS Bulletin and spends his time researching and writing on aspects of local history. He is the author of several books. For a number of years he was Secretary of the London and Middlesex Archaeological Society (LAMAS) local history committee.